How to view all startup programs on my Window 7 system? 2. Enter msconfig.exe in the search box. 3. msconfig in the search result list to run msconfig.exe. 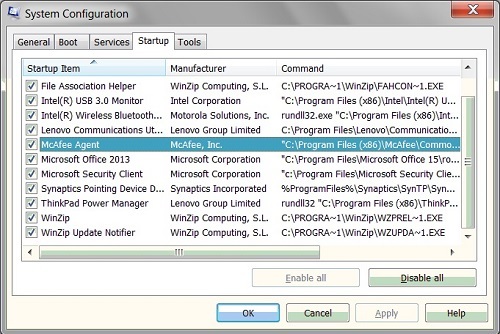 You see the System Configuration Utility window showing up.